This is a hack inspired by disneys movie Wreck It Ralph. 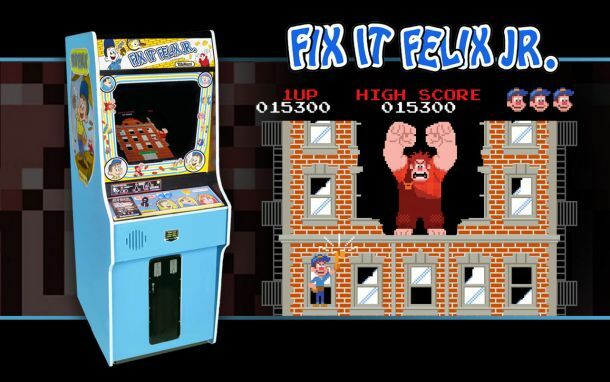 In the movie theres an arcade game Fix it Felix Jr. and thats what im trying to emulate here on the NES. Its my best work but still not perfect. I might try harder and give updates, but for now this is Fix It Felix Jr. On the NES! lol, is this for kids that do not know about NES games? this is Lode Runner.